Do you think that “good enough” is good enough when it comes to the way in which your home heating system operates? If so, think again! 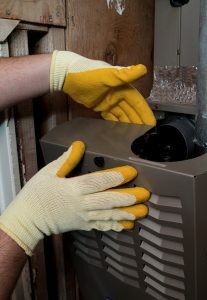 You, like any other homeowner, deserve the best performance possible from your home heating system. That simply won’t be your experience, however, if your heater is short cycling. What does short cycling mean? That your system is starting up and shutting back down too frequently. What does it mean for your heater? That is a question that we’ll explore further in today’s post. Short cycling may seem like a minor annoyance at first, but trust us when we say that it is a problem that you want to be resolved as soon as possible. While not every circumstance leading to short cycling is terribly serious, there are some causes of the problem that pose a real threat. Not only that, but the short cycling itself can lead to the need for further heating repair in Boerne if you’re not careful! Here’s the tricky part of dealing with short cycling. Not every problem that leads to it is really that serious. Assuming that the problem is nothing serious, though, will land you in some serious trouble! That being said, there is one cause to rule out before you go calling in a professional. That is a very dirty air filter. If your air filter is really dirty, then the furnace may start to overheat as it struggles to force air throughout your home. When that happens, the system may actually shut itself down to avoid damages caused by that overheating. You can resolve the issue by simply changing your air filter if this is the case! In fact, it’s often not that simple. There are a lot of different reasons why your furnace may short cycle. You could have a faulty thermocouple, for instance, that shuts the system down because it mistakenly senses unsafe combustion temperatures. Of course, you could also have that problem, and the thermocouple is actually doing its job right! Then there are problems with electrical components, malfunctioning thermostats, and wiring to consider. It’s a complicated process to diagnose a problem accurately, but that diagnosis has to be made and made correctly before repairs can be completed. Don’t waste your time with technicians that don’t know what they’re looking for. The big deal is the fact that a system that is technically running is not necessarily running right. You are not getting the best heating output possible when your system short cycles. There’s no getting around that. This is just the start of the problem, though. You are also paying more for a lesser performance, because furnaces consume more energy as they cycle on than they do when running consistently. Plus, the added wear and tear on the system caused by the starting and stopping greatly increases the risk of damages. Schedule your furnace repairs with D’Spain Sales & Service, Inc.
Is My Water Well Going Dry?